If you had a childhood like me, you were surrounded by used trucks that your dad would buy left and right. Sometimes they would break down, sometimes they would last a lifetime like the Silverado from the late 90s that still sits in my family’s yard, and has plenty of life left in it. If it’s one thing I’ve learned over the years — and through a lot of fact-based research — it’s about how to get the most miles out of your used truck. It can be a little different than owning a used car, so it’s important to put your used truck into perspective. Is it just a daily driver, or is it used to haul firewood, bass boats, and work around the farm as well? If you relate to the second part of that question, then you need to learn how to work your truck smart, not hard. Other than that, it’s just like your basic used vehicle: routine maintenance, making sure to drive it daily, and not being a clown behind the wheel will ensure that your truck lives a long and happy life. Garages, service departments, independent mechanics, and even the ones who work on their own vehicles for non-profit can’t stress this enough: KEEP UP WITH ROUTINE MAINTENANCE. Whether you just got a used truck from a dealership and follow the suggested maintenance plan, or you have had a truck for 20+ years that you enjoy working on yourself, it’s imperative that you keep up with the manufacturer-suggested maintenance of your vehicle. If not, your used truck (or car) won’t last long at all. Routine maintenance involves anything from topping off or changing fluids to checking and replacing parts, if necessary. If you get your truck serviced at a garage or dealership that has you on a dealership schedule, all you have to do is follow it to a T to make sure your vehicle stays healthy. If you enjoy working on your ten-year-old truck yourself, you need to be vigilant about keeping up with maintenance. Typically, you’ll want to change the oil in any used vehicle every 3-months or 3,000 miles (whichever comes first). Use this indicator as a good time to check other parts and fluids on your vehicle. Always check tire tread, brakes and rotors, transmission fluid, and any rust spots that might be popping up on the body. If you find any, make sure to get a rust-repair product and take care of it as soon as possible. You’d be surprised how quickly surface rust can turn into a $100+ fix if the damage becomes too great. Transmission fluid doesn’t need to be changed out as frequently as oil, but the levels should still be checked whenever you check your oil. That way, you can catch oil or transmission fluid leaks before they turn into a serious problem. At the very least, make sure to check all of your important fluids a couple of times a month — whether you’re driving an older or newer used truck. When it comes to used vehicles, you’d rather be safe than sorry. Look in your owner’s manual for the recommended manufacturer’s maintenance schedule for some more guidance if you need it, and base your routine maintenance off of that. If you buy a used truck or car, it’s good to make that your daily driver. You’d think it would be the opposite since driving a vehicle puts more mileage and wear and tear on it. But, that’s not the case. Letting a vehicle just sit in your yard for extended periods of time — or only using it for short, constant trips — is actually more detrimental to it than you may think. 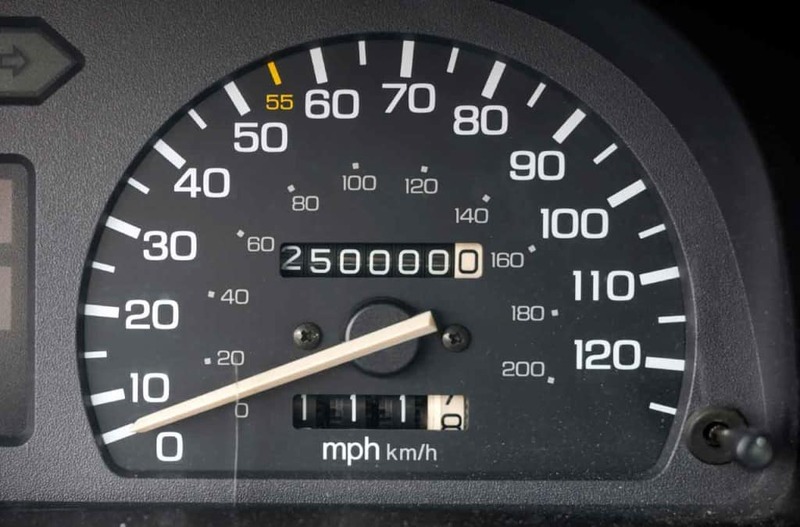 Multiple components of the used car or truck require routine use, less they begin to fail as the days turn into weeks, and weeks turn into months. The battery is a perfect example of this, and after long periods of inactivity, you might notice the battery is giving you trouble. Even if the vehicle doesn’t run for two weeks, it will kill the battery. Since the vehicle is used, an older battery will die even faster. Fluids are also going to weaken over an extended period of time, and your motor oil and transmission fluid won’t be able to properly protect their respective parts. Tires get worn down as well, and leaving a vehicle in one spot for too long often leads to tires becoming flat, rotted, or even warped. Not only are these expensive repairs if left unchecked, but they also put you into a dangerous situation on the road. This is something that you’ll find plastered all over the internet, or handed down from your crazy uncle who still works on cars. With used trucks, you need to work smart, not hard. Universally, it’s understood that trucks have been built for work. Therefore, the designs are built tougher and stronger than cars. But, they aren’t invincible. That’s why it’s important to be reasonable with the amount of work expected from your used truck. If it’s only rated to tow 7,000 pounds, don’t go pulling a trailer that’s loaded down with 15,000. Not only does that put your transmission on the fast-track to the grave, but it’s also dangerous for you and others around you on the road. Alternatively, if you are hauling firewood in your truck, don’t load it down until you see the tires squatting and can hear the suspension crying with every little bump you drive over. Make two trips. Paying for the gas now is better than paying for more expensive repairs later. In a nutshell, it boils down to learning your truck’s limits, and not pushing it too far. Otherwise, you risk stressing the truck too much or might even break something on the spot. A simple but often overlooked concept is not driving like a maniac in your 6,000 pounds of unrelenting steel. That’s a lot of weight to be throwing into sharp corners and steep inclines. Often, I like to relate this to the Golden Rule: treat others the way you want to be treated. Yes, this does in fact directly relate to the relationship between you and your vehicle. For example, how would you like it if your truck decided to take you for a spin one day, and ran you over every pothole imaginable at 40 mph? It would probably hurt. Or, how about jamming on the brakes at the last second, or taking a corner too sharply? While these might not seem like big issues, they can pose major problems for a truck. When you slam on the brakes, you are trying to instantly stop a 6,000-pound vehicle (most likely even heavier) at the drop of a dime. That’s a great way to blow out a brake line. Even slamming on the gas pedal and expecting the truck to perform like a sports car is detrimental to the engine and the transmission. Since they are trying to — unrealistically — meet your demand of moving a bulky vehicle at high speeds from a stand-still. Don’t “act a fool” behind the wheel. Treat your truck nicely, and it will perform accordingly.